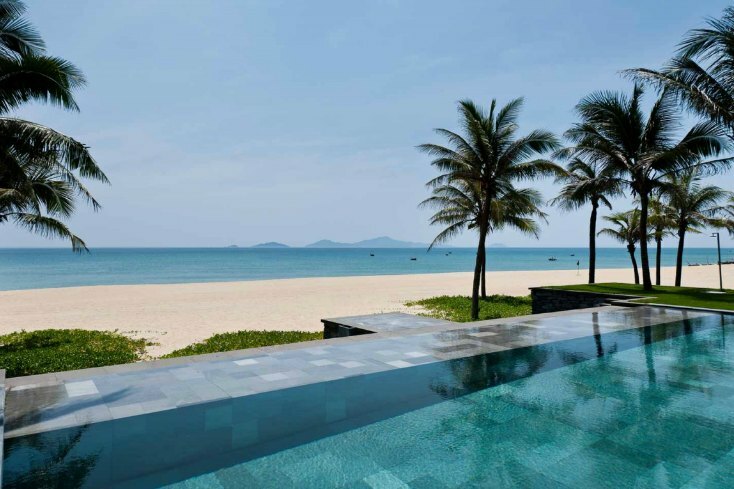 When it comes to travel perfection, The Nam Hai springs to mind. I visited this fabulous hotel on my honeymoon and it’s a stay I shall not soon forget. 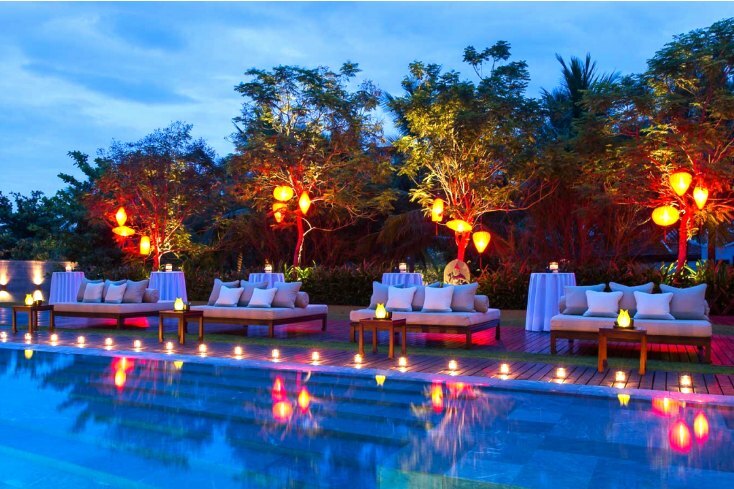 This over-the-top luxury property is located just outside the small Unesco World Heritage site, Hoi An, Vietnam. While this may not seem like the most likely locale for luxury, I assure you, this Leading Hotel of the World gets everything right. From the moment you arrive at the Nam Hai, everything in the world seems to make sense. 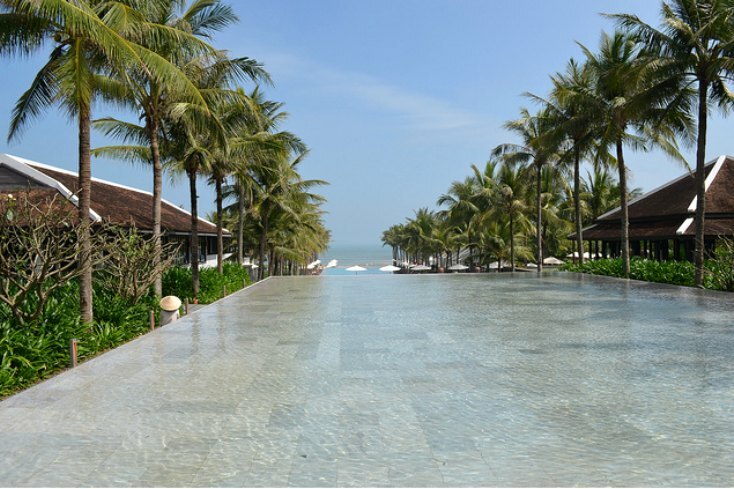 Our first stop is in the lobby, which is exquisite, it’s open-air and overlooks three infinity pools that lead your eye down to the South China Sea. I stayed in a one-bedroom villa, which have beautiful views of the water. As we approached our villa for the first time, I got butterflies in my stomach–it was after all, my first villa experience. I looked around wide-eyed and excited to call this my home for the next several days. I had already begun thinking about when I would be able to return. 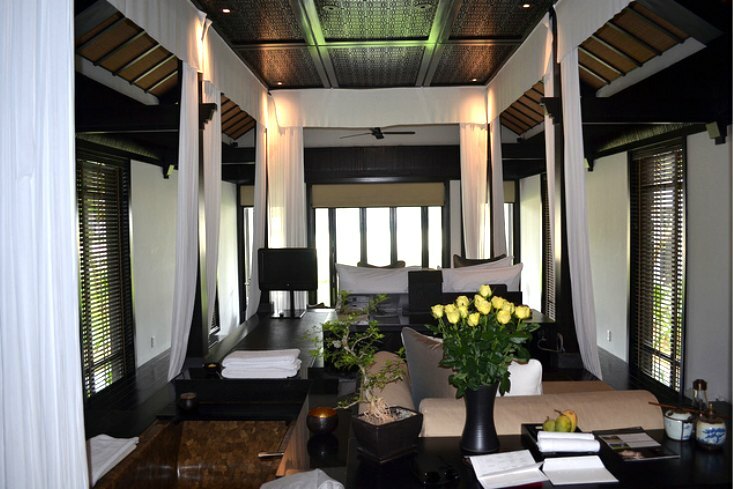 The villa itself was set up like a traditional Vietnamese home, albeit with perhaps a few more luxurious touches. A raised platform in the center of the room housed a king-sized bed, which faced a large flatscreen television. Everything here was ultra-modern like a espresso machine, automatic lights and an iPod dock, which sits upon a desk that is beside a sunken bath tub that calls you to come for a soak. We stumble upon a bottle of Moët that I can’t wait to break into. There is also a lovely dessert, which sits alongside the words, “Happy Honeymoon.” Indeed. What to do first? We check out a schedule given to us by the concierge and are blown away by the vast array of options. For the honeymooners that can’t sit still, there are organized sports, yoga classes, trips to the Cham Islands, tennis courts, a gym and various other distractions like a massage class! 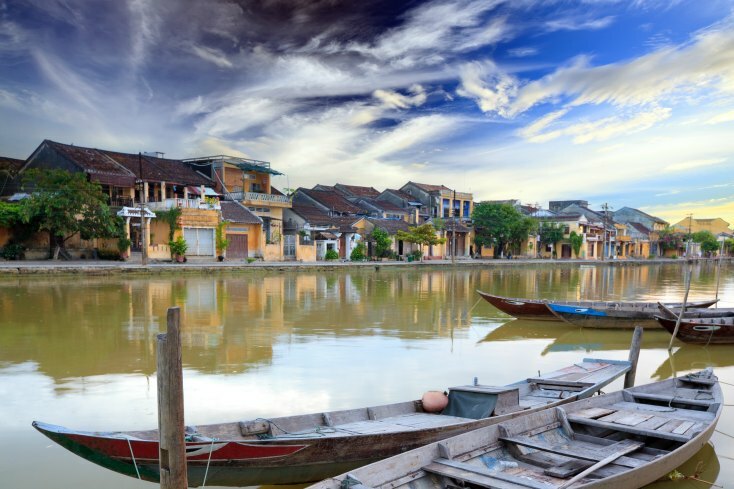 You can also sign up for cooking classes or borrow a bike and cycle to the nearby town of Hoi An (a Unesco World Heritage Site). But what are honeymoons for if not relaxation? 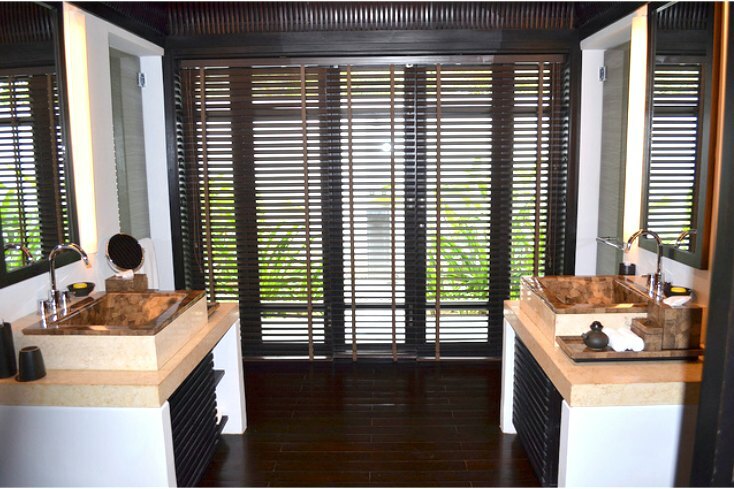 Where better to relax than at the Nam Hai Spa? That is a serious question. I have not found a spa more outstanding. Guests experience their treatments in small bungalows that boast views of serene water that surround them. Massages begin with a traditional foot therapy in a rose-petal bath. You must experience the Nam Hai massage, which is a 60-minute massage from two therapists who work in unison to bring you to nirvana. Couples can enjoy these side-by-side. I also recommend relaxing by the pool and/or on the beach. 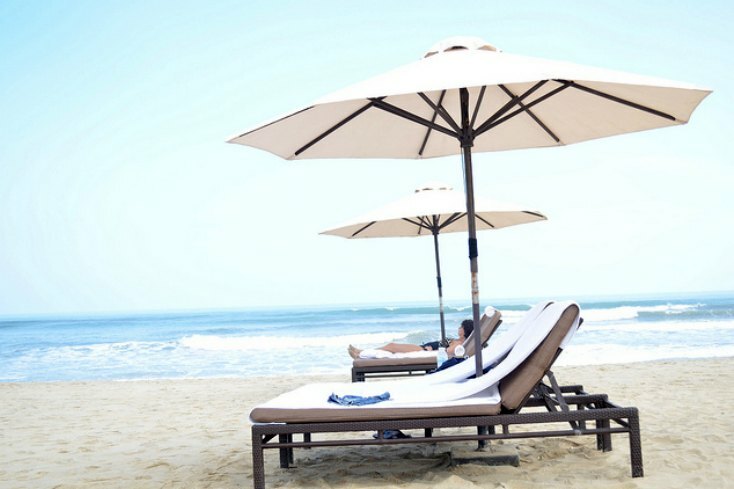 Helpful staffers promptly organize your beach chairs and towels and even offer chilled cloths to cool you down. And what hotel is complete without some indulgent cuisine. The restaurant at the Nam Hai is phenomenal. 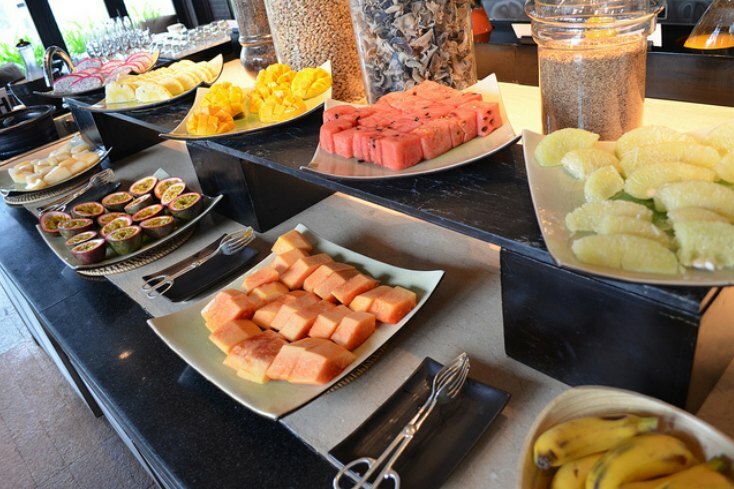 For the breakfast buffet, tables are covered with tropical fruit, made-to-order Vietnamese dishes and breakfast staples are brought to your table and there are the best pastries I have ever had. This is why the Nam Hai breakfast buffet remains the best breakfast I have ever had. The Indian dishes at dinner are incredible as well. And if you’re looking for some quality time together, the room service is a wonderful option to take advantage of. This hotel is the most spectacular place to enjoy the splendor of your luxurious locale as well as your time together with your partner. The staff here is so professional and truly a large part of why this resort is so special. Our entire visit, they anticipated our every move in an effort to make sure we had the best stay of our lives–which we did. 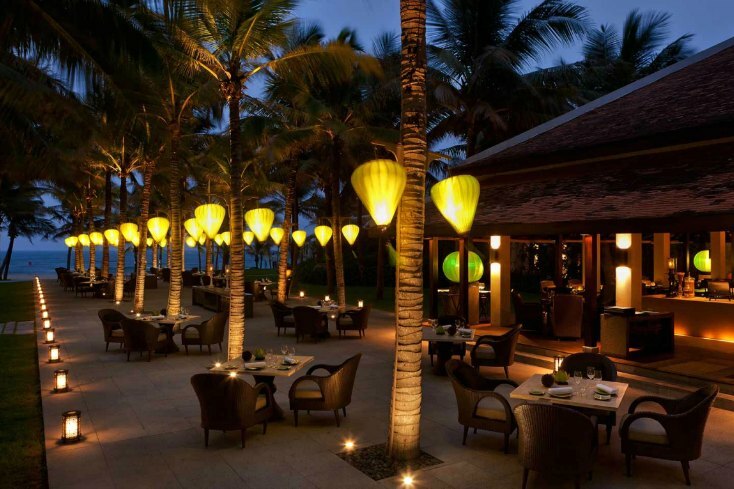 Want to stay at one of the best beach resorts in Vietnam? The Nam Hai is one of your best options! 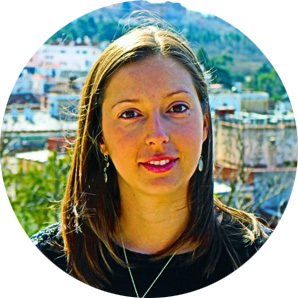 Katie Goldstein is an avid traveler whose tastes are simple: she enjoys the best. 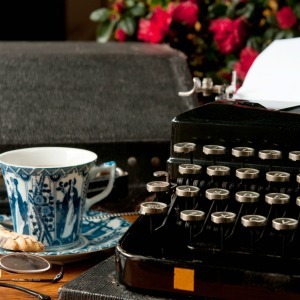 Katie works by day as a lawyer and by night as a successful writer. Katie often lends her travel expertise to prestigious outlets, which include Forbes, Fodor’s, and She Knows. She has also written about varied topics for WE TV and for FoxNews.com. Katie is also the founder of famous luxury travel and lifestyle sites, Travelingpanties and Smartypanties, where she chronicles her adventures around the world to spectacular countries like Thailand, Argentina, Laos, Cambodia, Uruguay, Australia, France and more. Keep up with Travelingpanties on Facebook, Twitter, and Instagram. This looks gorgeous! 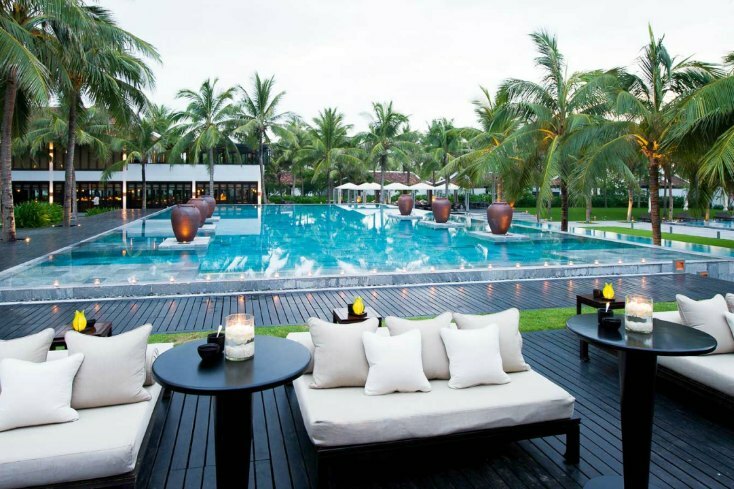 I’ve always wanted to go to Vietnam and this is the perfect recommendation on where to stay. Thanks for sharing your experience!